Located on the Queens campus of St. John’s University, Marillac Hall is a 600 seat Auditorium, originally built in the 1960’s. 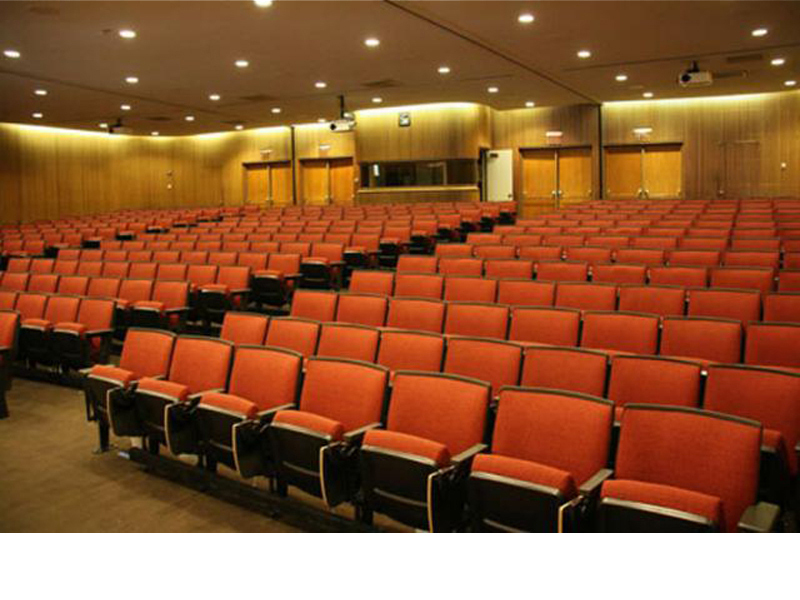 The university decided as part of a larger scope of other renovations on campus, the auditorium was in need of new seating and finishes. Wokring with DBI Construction Consultants, in planning for the new work, consideration for the Americans with Disabilities Act (ADA) was included in the new layout of seating for the space. Access and isle spacing was evaluated and the number of seats needed to be arranged to meet code without losing the total seat count. The original wooden seats were replaced with new cushioned seating and new stage curtains were specified and installed. All the new materials meet today’s standards for fire ratings. The floor and walls were also part of the new upgrade for the Auditorium.